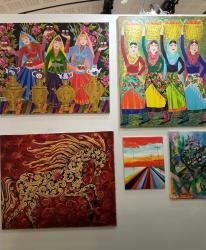 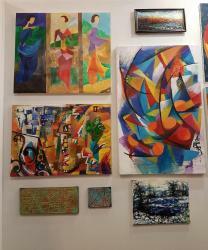 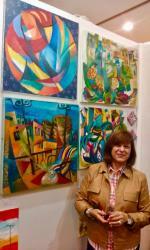 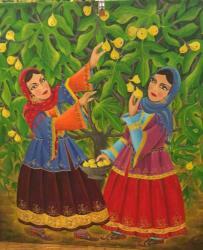 Azerbaijani artists continue to conquer the world's art scene. 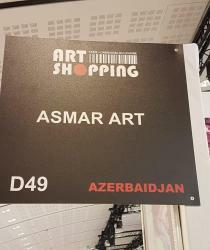 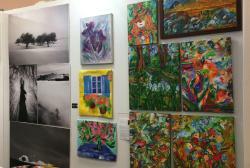 Works of national artists were presented in Asmar Narimanbayova`s pavilion ASMAR Art at Art Shopping Gallery, Trend Life reported. 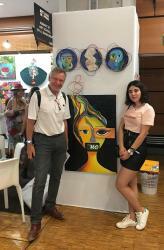 The unique and spectacular works of national and foreign talents were showcased. 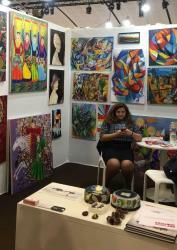 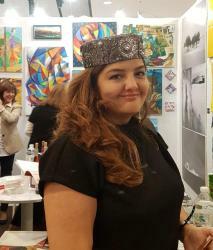 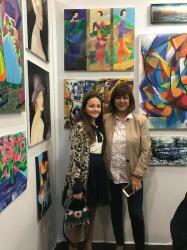 Azerbaijan is represented at the exhibition by artists who are participants in a number of art schools and studios in Baku - Art school by Alyona Bandurina, Art gallery & Art school "Mincä sanat" and Baku Art Corner. 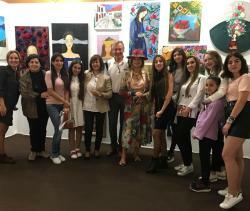 Talented national artists, including Asmar Narimanbayova, Eldar Hajiyev, Jamila Rahmanli, Leyla Aliyeva, Fidan Panakhova, Dina Valeeva, Natella Hasanova, Nigar Mammadova, Kamala Maharammova, Ziya Sadikhov, Ayan Gasimli, Anastasia Bolshakova, Fatima Efendiyeva, Ziya Sadikhov and other artists presented their works as part of the event. 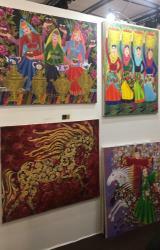 Among the works on display are paintings made in different genres and directions. 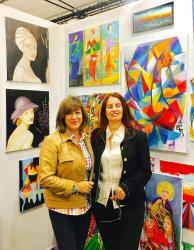 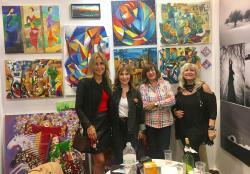 The works caused a great attention of the guests of the event. 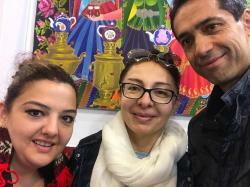 The exhibition featured works of foreign photographers Ali Shokri (Iran), artists Muzaffer Gencher (Turkey), Tamara Lampardze (Georgia) as well. 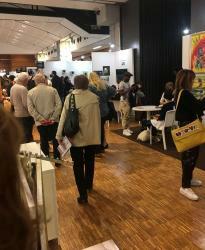 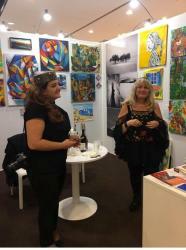 Over the years, Art Shopping has become an art event in Paris where hundreds of artists can present their artwork to thousands of visitors, art lovers and professional buyers. 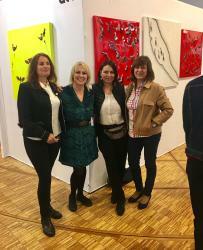 Twice a year, the Art Shopping trade show is held in the Carrousel du Louvre and offers a selection of works to both view and purchase. 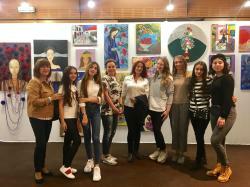 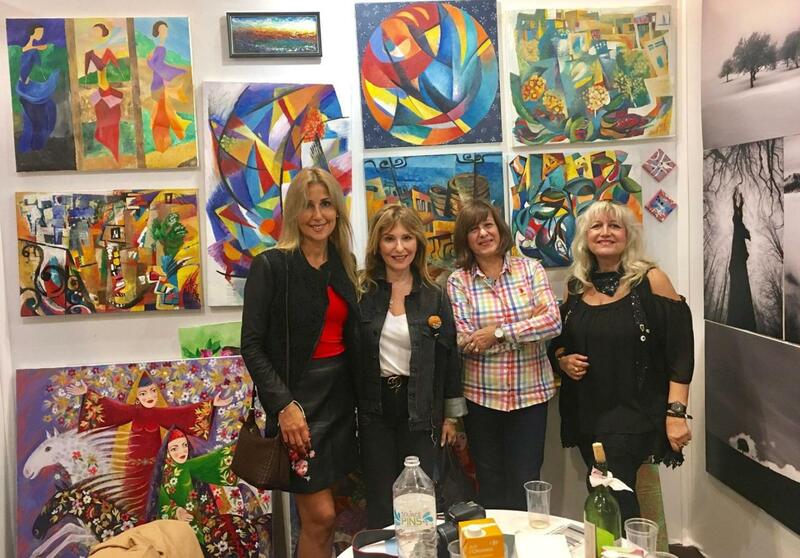 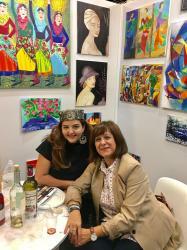 In May, the works of Maryam Alakbarli, Fidan Aliyeva, Jamila Sultan, Leyla Melikli, Aydan Huseynli and Fatima Mammadova were put on display during the exhibition.